A significant portion of retirees have trouble coping with the consequences of retirement. People who retire unexpectedly because of illness, job loss, or those who tended to work longs hours, bringing work home with them — may have the most difficulty adjusting to retirement. · Some feel they have nothing left to contribute. This fact makes you question if all of us are really supposed to retire. If you think about it — throughout history, people worked until they died or were physically or mentally incapacitated. It’s only in relatively recent times that the concept of “retirement” came about. Maybe for some retirees, a better solution is to find a better job, a new direction in the pursuit of passion, and not to quit work entirely. 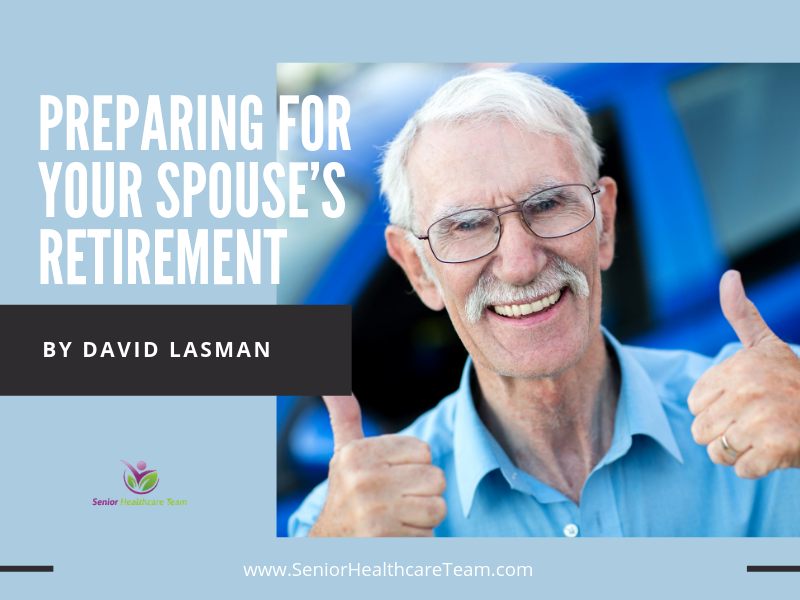 Remember, there are many lifestyle changes in retirement that affect marriage. The biggest may be the most important — spouses now spend more time together. This is the one factor, I’d like to address in this article. The longer a couple is married, the less likely they will divorce, even if they have significant marital problems. After many years of marriage, there are just too many motivations to remain together — many of them having to do with the needs of the extended family. Often couples who can’t get along merely sidestep each other, rather than divorce. Before retirement, an unhappy couple could effectively tiptoe around each other, because at least one of them was busy working. Retirement, of course, ruins that. Now, you are spending 24/7 with someone who you haven’t gotten along with for years. You can blame it on retirement, but the truth is — you’ve probably never learned to adjust to each other. Now, you are forced to do something about that. Hopefully, the outcome will be a solution to issues you should have resolved years ago in your marriage. The years that a husband and wife have spent creating independent lifestyles, now come back to haunt them. They can sometimes worry that they have little left in common. Throughout their marriage, they failed to generate common interests. They did nothing to build compatibility. Rather than building a relationship on the basis of shared respect and warmth, they ignored each other’s feelings. Thus, in reality, they have missed out on a lifetime of marital happiness. Don’t let this happen to you when you retire! Finally, I’d like to remind anyone struggling to cope with your spouse’s retirement — to keep in mind, that while we must confront our insignificant issues and look at the big picture — the comfort and joy in the companionship of being alive with someone you love, more than compensates for the trials and adjustments of retirement.